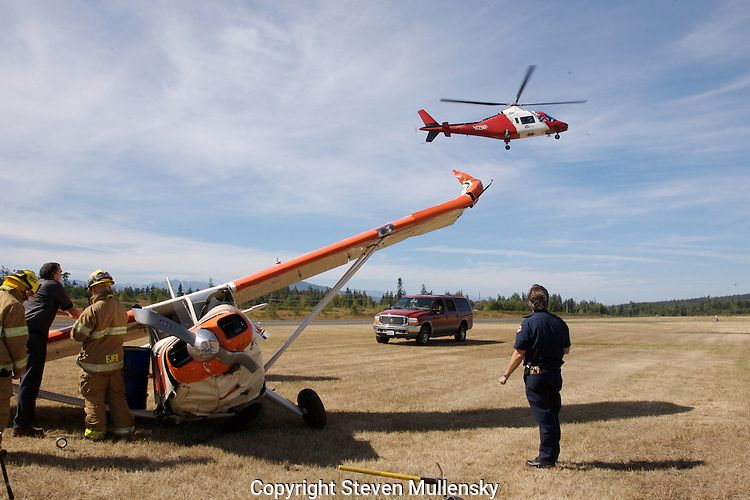 The pilot of this 1947 Stinson is being airlifted by a medical helicopter to a hospital for treatment of injuries suffered when a wind gust blew the plane off the runway while landing at Jefferson County International Airport in Port Townsend, Washington. The plane dug a wing into the dirt and cartwheeled before coming to rest. The pilot was treated at the hospital and released later in the day.